The WEAP web site is developed and maintained by SEI, the Stockholm Environment Institute. SEI is committed to letting you know how we use your personal information. The Stockholm Environment Institute is responsible for the processing of your personal data on this site. We collect personal information from you when you use this website. See our cookie notice for the cookies that may be collected. If you sign up as a member the WEAP web site, we collect the personally identifiable information you enter such as your name, organization, email address, country of residence and other information that you voluntarily submit. This information is used to understand your use of the website and to help you interact with other members of the site. You can choose to make this data accessible to other members of the site or to keep it hidden from other members. The data will not be shown to non-members. You can edit the visibility of your data here. We may use your personal data to answer your queries, to make analyses in order to provide you with relevant communication promotion and information, to send you surveys in order to give you a possibility to influence the site and our services. We will keep your data for as long as necessary to fulfill the purposes above or for as long as we are required by law. You may delete your account and all your personal information from the WEAP web site here. After this, none of your personal data will be retained on the web site or by SEI. If you use WEAP (a Windows-based software tool distributed on the WEAP web site), we may collect and record data from the computer on which you are using WEAP, including: which features you use; information about any errors that occur while using WEAP; technical information about the computer and operating system (OS) on which WEAP is installed including its CPU, RAM, OS version, IP and MAC address; meta data about the WEAP areas you work on such as the names of areas, scenarios and regions. We keep this data private and will not share it with anyone outside of SEI. We use it solely to analyze and improve WEAP and to ensure that those using WEAP are doing so with a valid license. Apart from the above metadata, we do not and will not access the data and information contained in any WEAP areas you work on without your explicit prior permission. We do not and will not obtain data about you from third parties (including other companies). SEI uses Google's advertising services. For more information about Google's collection, sharing and use of data, please see Google's "Privacy & Terms" which you can find here. If you have elected to receive email from the WEAP web site, and you wish to opt out of receiving such email, then you can unsubscribe from any discussions here. If we process personal information about you, then you have a right under data protection law to request access to that personal information. You also have a right to require any inaccuracies in your information to be corrected free of charge. You can modify any details about yourself by editing your personal profile. We take reasonable precautions to prevent the loss, misuse or unauthorised alteration of information you provide us with through the website. Communications from us in connection with the website may be sent to you by email. Email is not a fully secure means of communication and, while we will take reasonable precautions to make all such communications as secure as possible, we cannot guarantee our emails are free from viruses and other harmful effects. 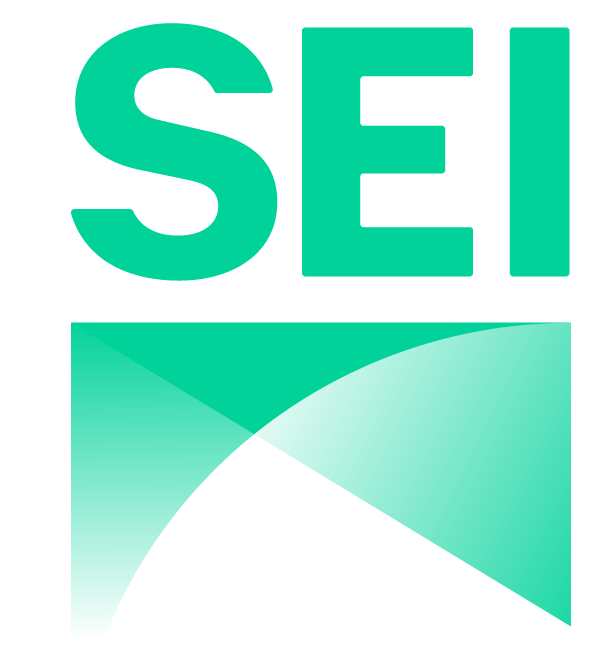 References to "SEI," "we," "us" and "our" are references to The Stockholm Environment Institute, which means the Stockholm Environment Institute - U.S., Inc. in the United States, and the SEI foundation in Sweden (Stiftelsen The Stockholm Environment Institute). Cookies are small text files which are sent to your web browser and stored on your device. Cookies allow a website to remember your device on your return visits. This is particularly important for web sites that allow you to sign in, as it allows the browser to remember your login between sessions. We use both session cookies (which exist only until you close your browser) and persistent cookies (which exist for a longer period of time). We use persistent cookies to remember your login between sessions. The majority of browsers accept cookies, but you can usually change the browser's settings to refuse new cookies, disable existing ones or simply let you know when new ones are being saved. Please be aware that, if you refuse or disable cookies, some of the web site's functionality will be lost. We use third-party cookies to collect statistics in aggregate form in analysis tools such as Google Analytics. We also use Google Analytics Advertising Features. Read more about it and how you can opt out here. The cookies used are both permanent and temporary cookies (session cookies). The permanent cookies are stored on your computer or mobile device for no longer than 24 months. Some cookies are necessary for the website to function and cannot be switched off in our systems. They are usually only set in response to actions made by you, which amount to a request for services such as setting your privacy preferences or filling in forms. You can set your browser to block these cookies, but some parts of the site will not then work. These cookies do not store any personally identifiable information. Performance cookies allow us to count visits and traffic sources so we can measure and improve the performance of our site. They help us to know which pages are the most and least popular and see how visitors move around the site. All information collected in these cookies is aggregated and anonymous. If you do not allow these cookies, we will not know when you have visited our site, and will not be able to monitor its performance. Important: If you are visiting the WEAP web site from a public computer, be sure to log out and close the browser window when ending your session, so as to prevent others from using your account. Declining cookies will also prevent your login from being remembered between sessions.